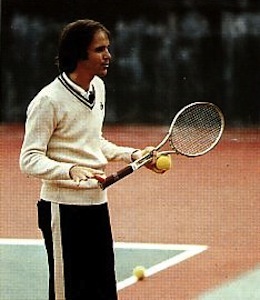 In trying to counsel young writers, I actually tell them to read The Inner Game of Tennis to become familiar with the two selves. 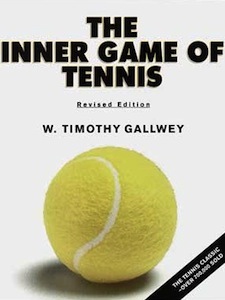 In the book, Gallwey suggests that within every player, there’s a Self 1 that seems to give instructions and make judgments (“Dammit, you idiot, keep your eye on the ball”) and another Self 2 that seems to perform the action. The book shows you ways to get Self 1 to give up control and trust Self 2 to perform successfully. It’s the difference between making it happen and letting it happen. Piller goes on to suggest that writers might benefit from a similar approach while working on a novel or script, especially a first draft: instead of forcing the action into a particular direction, just let it happen as if you were watching the movie yourself. Before beginning, let me simplify the external problem facing the tennis player. He faces only two requirements for winning any given point: each ball must be hit over the net and into his opponent’s court. The sole aim of stroke technique is to fulfill these two requirements with consistency and with enough pace and accuracy to keep pressure on one’s opponent. Writing, I’ve found, works much the same way. 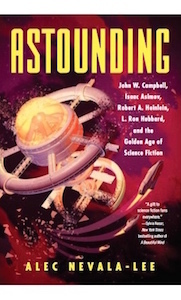 If the external problem in tennis is to hit the ball over the net into the opponent’s court, the problem in writing lies in sustaining the reader’s interest, in what John Gardner calls “the vivid and continuous fictional dream.” Any writing tip or rule I’ve shared here is useful only to the extent that it furthers that goal, and, as in tennis, a few master tips often get you most of the way there. In both cases, however, it can be a mistake to consciously focus on the rules. Gallwey points out that once players start worrying about form, they tend to stiffen up, and the best way to avoid this is to observe your actions without judgment, focusing on keeping the result natural and relaxed. Similarly, I follow a lot of personal rules for writing fiction, but in practice, I try not to think about them when I’m working on a rough draft or finding a shape for a story. It’s part intuition, part experience, and when I do consciously invoke the rules, it’s only if I notice that the result is diverging from the intention. When it works, as in Gallwey’s ideal tennis game, it doesn’t feel as if I deserve any credit. The serve seems to serve itself, just as the story tells itself. And the best thing a player can do is keep from getting in the way.